Aqaa Maulaa stressed on the point that, "There are two birth of a mumin or muminah, one is physical and the other is spiritual. 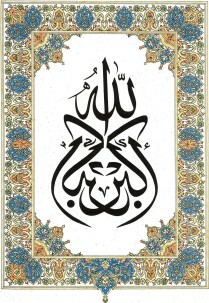 Physical is that which relates a mumin to his biological parents. Spiritual is the birth-wilaadat when a mumin offers misaaq to his spiritual parents i.e. Imaam uz Zamaan or his representative on this earth. Physical existence depends on the food and sustenance on material things. But spiritual well-being is totally based on pure knowledge, obedience, good actions and character and adherence to the divine law of Shari'at. Everybody can exist physically but very very few can lead life spiritually. Spirituality could only be achieved by following guidance given by Imaam uz Zamaan AS without any condition." Aqaa Maulaa said that, “You all are my family, my ruhaani farzando. I am your Waalid and I treat you equally and affectionately so I too expect from you that you all work together for the holy cause of Da’wat and the deeni progress of mumineen. Unity, understanding and selflessness is the stepping stone to defeat the evil forces and plans. Truth is with us, with the followers of Ahl ul Bayt (as), their Imaams and Da’is, but the need of time is that we should reveal our truthfulness at right place and time. A simple way of precise dialogue is enough to uproot and shatter the baseless arguments of bid’ati people. On 10th Feb 2019, Sunday morning after Fajr Namaaz, it proved to be a great experience and golden day-dawn for our Jamaa'at's Cycling enthusiasts. This first of its kind Cycling Trail began from Taiyebi Masjid to Mandvi. Mukaasir Maulaa is associated with Cycling groups and Nature-Heritage lovers of Vadodara. He often goes on longdistanceCycling expeditions. Along with Ra's ul Hudood saheb, Mukaasir Maulaa thought of doing the same for our Cycling and Nature lover mumineen. Is Maulaana 'Ali SA first to embrace Islaam among the Children? Know the real intention behind such misconception!!! What a newborn can do? 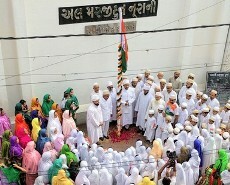 Maulaatona Faatemah SA: "Qur'an-e-Haqq ke Noor ki Aayat hai Faatemah, Deen-e-Rasool-e-Paak ki Surat hai Faatemah"
Vadodara City: "Aye Pyaare Baroda Hum Is Dil mai Basaa lenge, Aabaad Bahaaro ko Lutne se Bachaa lenge"
The soul is from the sky-heavens and the physical body belongs to the land-earth. When the soul returns back to from where it had come, it attains peace and spiritual progress. Similarly the body attains peace after its death only when the soul residing in it attains success and salvation. Success and salvation is attained only after going through tough efforts, trials and grievous situations. Our souls are at its peak when we accept the fact that, Rasoollullaah (saws) is the sole master of the sky and Ameer ul Mumineen Maulaana ‘Ali (as) is the sole master of the land. Sky is Zaahir-open whereas land is Baatin-closed. Suicide is a Latin term which means Self Destruction. Ending Life Untimely. Committing Suicide is the culmination point of a long process which goes on in the mind of an individual. We cannot isolate Suicide alone. We need to study all dimensions of the Life which may become the cause of Suicide. Understanding the concept of Life is essential for everyone to keep the negativity of Suicide and Self Harm away from mind. Almost all Religions condemn Suicide. And it is not baseless. Condemnation of Suicide is an edifice which stands strong on the Understanding the Life Process and its preciousness. Suicide is a Sin to a religious eye. But such a vision should be cultivated by all the religions in the mind of masses. And it is the responsibility of all religious leaders to bring forth the real understanding of the Divine Scriptures. 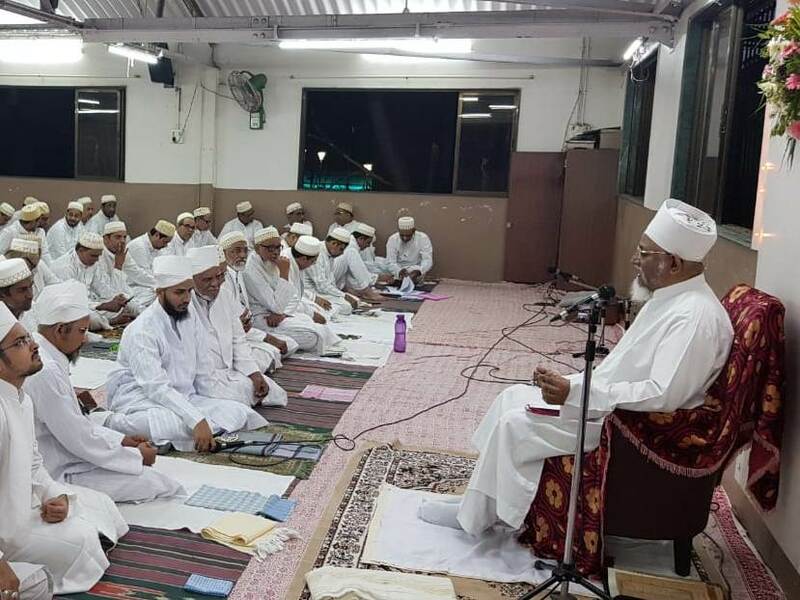 "In Ahmedabad, after the Shahaadat of Saiyedna Ali saheb (qr), the same thing happened with Muqaddas Maulaa. He remained in Satr for 17 long years hiding in underground chambers. 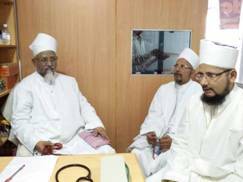 After taking Qisaas of Saiyedna Ali saheb (qr), he ordered his Mazoon o Mansoos Saiyedna Ziyauddin saheb to leave Ahmedabad along with mumineen and migrate to Vadodara after his death. The migration took place as per the wasiyat in 1110 AH and till now Vadodara has remained the centre of Ruhaani activities of Da'wat e Shareefah." Salaam and Shahaadat of Rasoolullaah (saws) near Gumbad-e-Khazraa and the same of Ahl ul-Bayt (as), A’immat-e-Taahereen (as) in Jannat ul-Baqee’. Nisfillayl and Tahajjud Namaaz near the Mimbar of Rasoolullaah (saws). Waseelah Namaaz of Rasoolullaah (saws), Maulaana ‘Ali Ameer ul-Mumineen (as) and Maulaatona Faatemah Zahraa (as) in Jannat ni Kyaari. Imaamat Namaaz at Masjid e Shajarah (Madinah miqaat), Masjid e Qarn (Taa’if miqaat) and Masjid e Maulaana ‘Abdillaah bin ‘Abbaas (as). 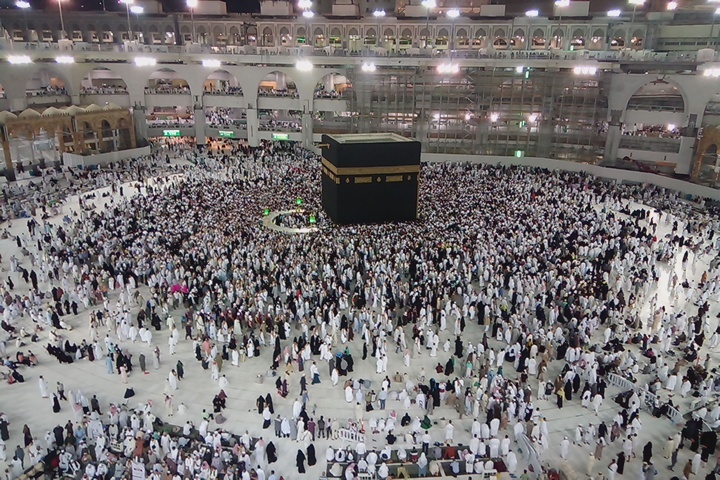 Recitation of Surah Yaa-Seen and the du’aas of Laylat ul-Qadr during Tawaaf. These Ambiyaa are friends and companions of the Deen of Allaah and their Habits and Character is such that people can definitely follow their examples and walk on their footsteps making them their role-model. Any person can adopt their Knowledge, Companionship, Practicality, Experience, and Inherent noble qualities and form his character based on his personal, financial, educational or social status with the best of his intentions and goals. This could be definitely accomplished by following the Ambiyaa, who are the backbones of the Deen of Allaah. The life should be shaped in such a manner by shouldering Truth, Efforts, Responsibility, Consequences and Honesty then for sure his character-personality will be meaningful and fruitful. These four phrases "'I''Me''For Me' and 'I Have'" , were the four disastrous proclamations of Fir'aun's tyranny. Those who endorsed in Fir'aun's imposing tactics were blinded by utter selfishness and glamour. They considered Prophet Musaa (as) as the only refuge and recognition for truthfulness and piety. They were well aware that Prophet Musaa (as) and his path was of righteousness and that it will bring the termination of Fir'aun's cruelty. But the other aspect dominated the mindsets of those assisting Fir'aun's dirty tricks, was that staying under the regulations of Fir'aun and blindly agreeing to whatsoever he declared, as it reverberated wealth, their rankings were triumphantly advanced to the top and their once low ranking comrades were looked down upon by them with more power and control. Not only would they participate in groups which were formulated for Fir'aun's orders, but they'd also engage in the secret gatherings arranged by Prophet Musaa (as) to make the prophet feel that they are with him. Even then, their hearts and souls were latched onto the material wealth provided by Fir'aun. Children are Playful by Nature. Play brings out Children's Interest and Creativity. In today's modern world children needs something which is Colourful and Creative in every aspect and by the way children learn more through play-way methods or by Audio-visual modes as it is done basically in Schools. 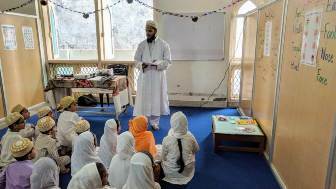 So it is the need of the hour that Deeni Knowledge should also be given in the same way, so that the children enjoy coming in Madrasah and Learning Deeni concepts while getting through general knowledge and current affairs should be their first priority. “Allaah Ta’aala created humans as a final and complete being which is the sign of His Supreme Authority. The position of humans is above all His creations. Unlike others he needs society, education and work to survive. He, the Exalted made manifest from the hidden knowledge and the stored judgement in Aadam and Hawwaa (Eve), the two parents, a male and a female, as a cause for the creation of mankind and society to reveal His mighty power. He paired them and they procreated, and the children and the number increased. They were transferred through the chaste loins and pure approved wombs. Alavi Society is based on 6 steps like everything which has 6 dimensions. They are 1. Madrasah, 2. Misaaq, 3. Masjid, 4. 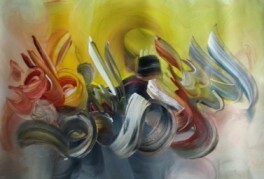 Mazaar, 5. Majlis and 6. 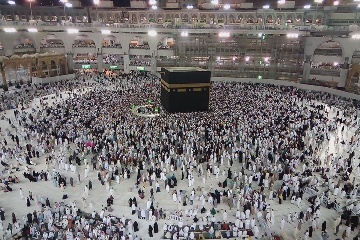 Maa'edah. These 6 steps is further rooted in 6 distinguished things created by Allaah Ta’aala for His divine mission-دعوۃ . It is 1. 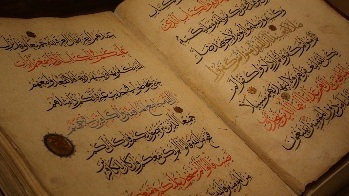 Qur’an (القرآن ) – the divine book, 2. Nabi-نبي (warner) – prophet, 3. ‘Aalim-عالم (learned) – the vicegerent of the prophet, 4. Shaahid-شاهد (witness) – the imaam of the descendants of prophet, 5. ‘Aabid-عابد (pious man) – missionary in the place of imaam, and 6. 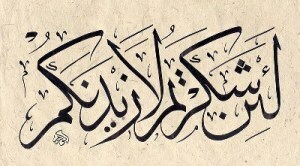 Khalq-خلق (universe) – things into existence. 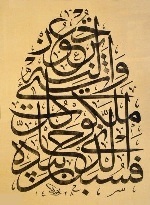 Lisaan ud Da'wat - The Language of the Alavi Spiritual Mission and the most versatile dialect of Alavi Bohras has its interesting history and long journey of expression and development dates back since the Imaamat and Caliphate of Faatemi Imaams in Cairo i.e. 1100 years. It originated from its mother language Arabic with the help of its supportive languages Urdu and Persian. Its structural and grammatical formation largely depends on Gujarati language. As far as our talented and enterprising small beautiful community is concerned, Aqaa Maulaa always advises muminaat to be creative, enthusiastic and calculative in their daily house-hold works and routine activities. Taking interest and actively participating in things that one likes tends to a healthy life with great outcome. Health originates from mind. Creative and focused mind is the best way to maintain health. 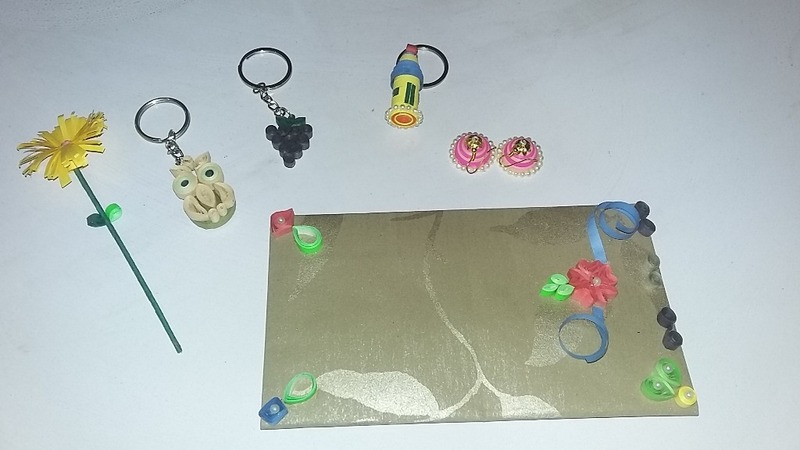 A healthy mother who apart from her daily chores, spares some time for her hobbies which proves a pulsating cradle of her innovation and creativity. This habit is enough to charge other members of her family and in this way a whole positive environment is generated in doing something good, new and different. 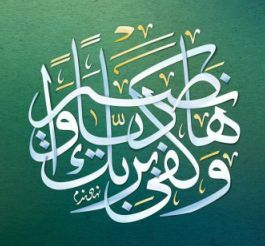 Tanzeel-تنزیل or Tafsir-تفسیر (outer meaning or commentary on the Qur’an) is completely based of Ta’weel-تأویل (inner meaning) without which Tanzeel becomes void and meaningless. The everlasting beautiful outward appearance is from inside and that which could not be seen and could not be understood by everyone. 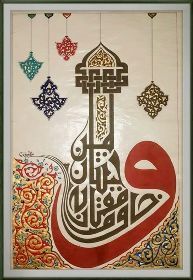 The belief that each and every Qur’anic verse has both outer and inner meaning as the same is the case with the sayings of Prophet Mohammad which are applicable and acceptable in all times till the last Day of Doom. The Concept of Harmonious Coexistence is the very edifice of the Human Creation by the Almighty God. Human Body is an Ideal example of understanding Harmonious Coexistence where different systems and organs work as a single being. It is a perfect illustration of Unity in Diversity. Not only our Human Body but everything around us... emanates the fragrance of Harmonious Coexistence. Nothing works independently or separately but in a closely interwoven network of functions and purpose. 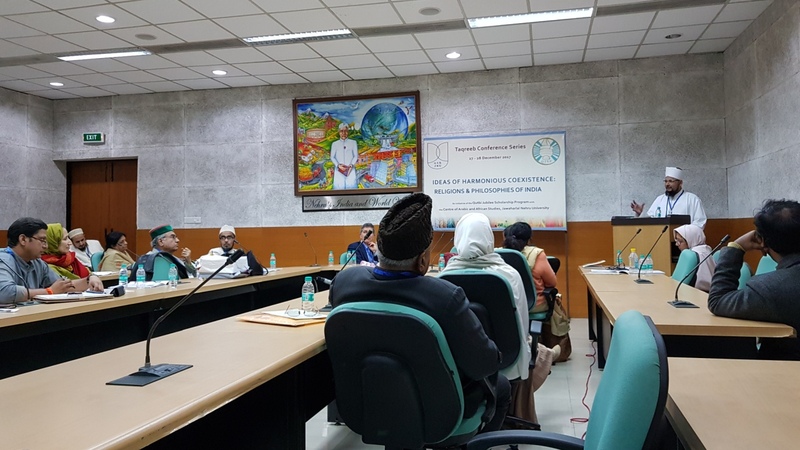 Mukaasir Maulaa Saiyedi Mohammad Nuruddin saheb (dm) and Shahzada Bhaisaheb Sa’eed ul Khayr (dm) participated in the World Islamic Conference focused on the Unity and Awakening held in Tehran, Iran on 22-23 Nov 2017. 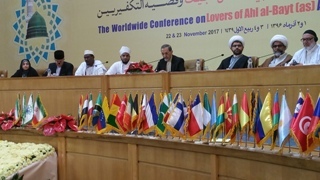 All well known personalities, dignitaries and delegates of Shi’i world from 49 countries took part in this event. 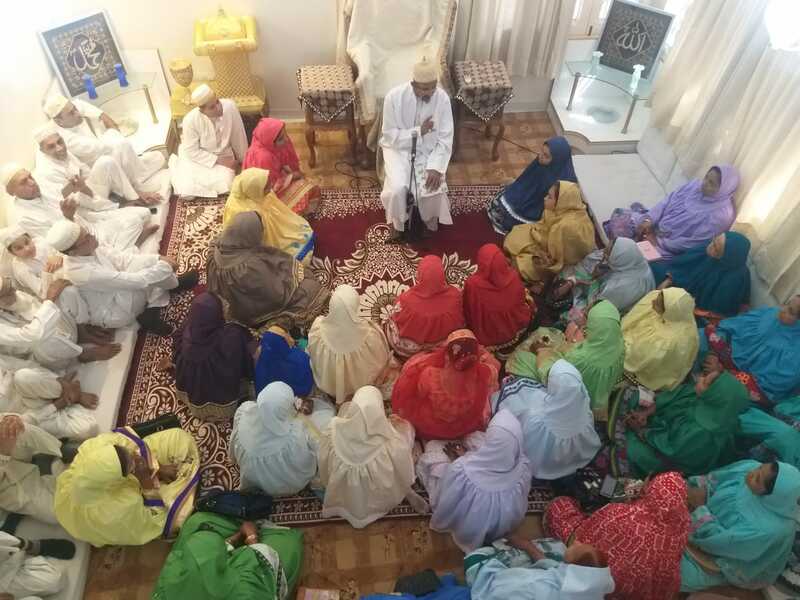 By the participation and lectures delivered by Hudood e Da’wat, the identity of our community Alavi Bohras as a well-organized and well-educated people got established. It was a huge gathering of the lovers of Ahl ul Bayt (as) and by this program the strong message was conveyed to the enemies of Shi’ah throughout the World. With this Du’aa Aqaa Maulaa wrote Du’aa e Shifaa in the beautiful Khatt and gave blessings and tabarruk to the doctor in-charge. Rasoolullaah (SAWS) has said, ‘Save your souls! Act, and the best of your actions is Salaat . Shaitaan is ever fearful of the believer who is particular in his five daily prayers. When a Muslim begins to neglect the prayers then Shaitaan is emboldened to act against him and seduce him to greater sins. 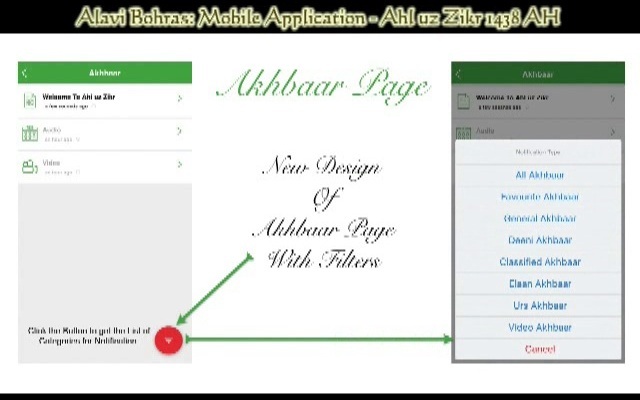 Video of New Features of Latest Update of our Community Application "Ahl uz Zikr"
Ahl uz Zikr is an Exclusive Mobile Application of Alavi Bohras. 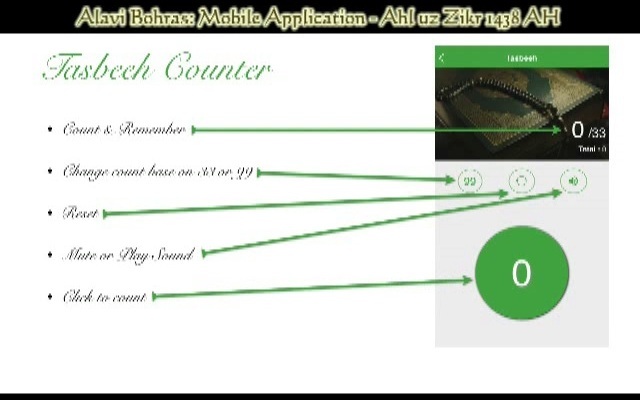 It is available on Google Play Store as well as Apple iTunes Store. 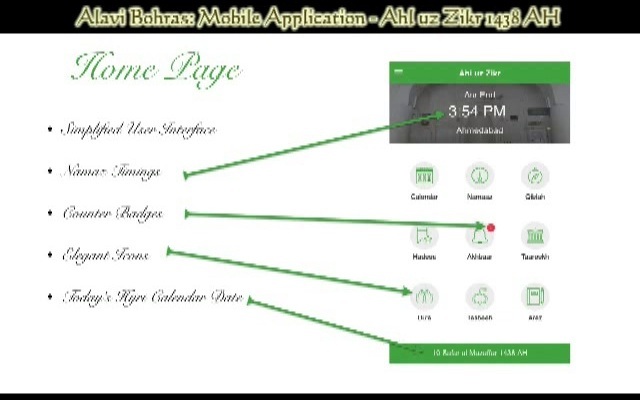 By the Razaa of Huzoor e 'Aali TUS it was launched in Shahrullaah 1437 AH. There are 1800 Mumineen users at present. This is a major update after the launch of the Application. On 24th Zul Qa’adah 1437, Friday, during the Zohr-‘Asr Namaaz, Huzoor-e-‘Aali (TUS) did Rasm-e-Ijraa, Releasing Ceremony in Masjid-e-Nooraani. 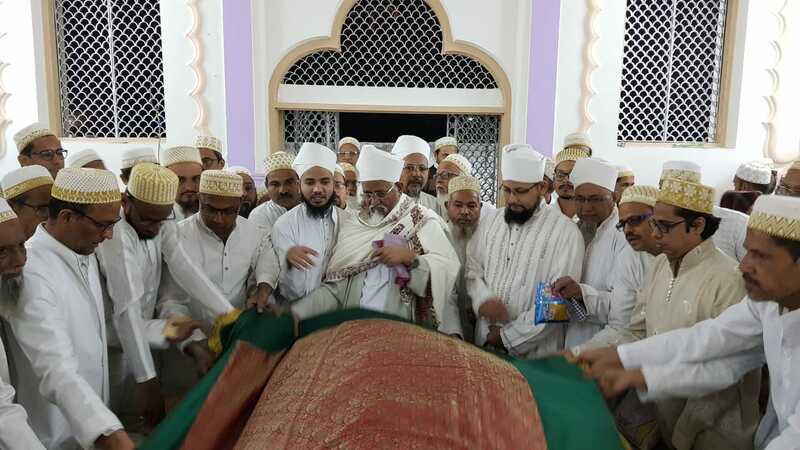 Shaikh Abbasbhai M Lala offered Sahifah to Huzoor-e-‘Aali (TUS) and did ‘Arz for publishing it among the Mumineen. Shahzaada Sa’eed ul-Khayr Bhaisaheb (zi) did bayaan in this respect and explained mumineen the Fehrist and Content of this Sahifah and the importance of Recitation of Du’aas. It was readied quite some time before in Sha’baan, but due to some additions its release got delayed and this was completed at the earliest due to the pain-staking efforts of Mukaasir ud-Da’wat, Shahzaada saheb and Hadd saheb Badruddin. Copyright © 2004-19 alavibohra.org All rights reserved.